OUR Top 40 Under 40 entrepreneurs from # 21 to # 30 are involved in a diverse mix of traditional businesses and innovative concepts which are changing the way we live. From real estate to accounting and engineering to fire compliance, a removal company with a difference, to state of the art motion simulators, these entrepreneurs have all embraced technology changes and are ahead of the curve when it comes to business. Even our 'Gnocchi' restaurateurs have embraced the need for adaptability. THE FORMER commercial property colleagues turned business partners are the proud founders of the only commercial agency to own and operate a full-service fire and compliance business. They have had incredible growth in the past two years achieving a 93 percent increase in their commercial property business and an impressive 197 percent in Incendia Fire Services. 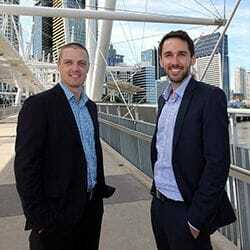 The duo is now seeking to create an Australian first by changing up the exciting commercial real estate agency model with a new and improved alternative. "We are providing corporate expertise on a personal level and a more agile and adaptable model of management and compliance in a rapidly changing world," says Feeney. "At the same time, we are in the process of setting up the first Interstate office for Incendia based on the model here in Brisbane." "We recently purchased our first development site as joint venture partners with our biggest client and we intend on lodging a DA in the coming months." 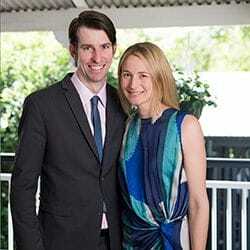 REAL ESTATE agency founders Alice and Justin Hagen have timed their entry into the market well. They set up the business in 2009, after a bad experience with agents while buying a house. At issue was poor service and over-inflated price expectations. 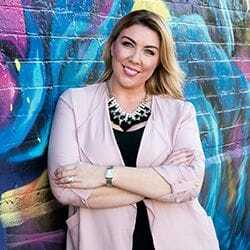 The Hagens took out the Brisbane Young Entrepreneur Awards' Property and Construction gong in 2015 and are going from strength to strength growing by 64 percent in the last financial year. "This year we have also increased our referral and repeat business from 65 percent to 80 percent," says Justin. "We have launched Calibre Interior Design, our interior design, and styling business to supply, state and style properties in-house for our selling clients for a fraction of the cost of other stylists." "Building on from this in-house service we also have our own 3D walkthrough technology called the Matterport which allows us to create 3D virtual tours for our clients." TARA-Jay Rimmer and Lee Hovey aren't in the business to deliver furniture. With her removalist company, Van That Can, she's in the business of delivering time. Gone are the days where there's a person staying at home 24-77 most of us are working and don't have time to sit around waiting for removalists. With Van That Can, Rimmer promises to deliver within a nominated two hour window to ensure that you're able to continue with the rest of your day. Another point of difference is Rimmer's natural embrace of new technologies. Soon the company hopes to launch an Uber style app allowing customers to have even greater control over their furniture removal needs. In just four years the company has rapidly grown to a team of 30 professional furniture removalists all of whom are interconnected via software which allows Rimmer to keep tabs on where and when each delivery will be made. THE CULMINATION of a long-held dream and a burning passion for enhancing businesses lead to the creation of Marsden Collective, an infusion of design and strategic vision. Marsden's handy work includes the transformation of airline lounges and bathrooms to office and tenancy fit outs for clients like Plantation Homes, Nodo Donuts, and Freedom Road Travel. The designer has been challenging the interpretation of interior design by disrupting initial assumptions around her area of expertise, and the industry as a whole. "The avenue that we have been carving out for ourselves is bucking the status quo of our industry because it's not a space that designers typically dabble in," says Marsden. "Our success in digging deeper into the psychology of the space and how people interact with it has seen us attract some interesting clients who have approached us, having heard of our specialist expertise." "I love coming to work every day knowing I am changing the way the world works through something I am very passionate about. It's a great place to be." THE BROTHERS were both unemployed and lived in their van when they set off on their maiden voyage up and down the east coast of Australia approaching retailers with boxes of their freshly printed samples in 2012. A lot has changed since then, with the counter-culture lifestyle brands expansion into Canada, the UK, Europe, and Asia. Since starting out, DVNT Clothing has experienced massive growth year in year out with an impressive increase of 150 percent within the last financial year alone. "We intend to continue our growth through our existing markets, but also expand into other markets and also product categories," says Alex. "Currently, we distribute to over 2,000 plus stores in over 13 countries, and we design four collections each year." "In the future, we intend to expand our distribution network with the help of integrated software and will be opening other warehouses throughout the world to help meet the demand of our E-commerce channel of the business." WHAT STARTED as a desire to own and operate their own accounting firm evolved into three business ventures including Walker Hill Digital (Space Digital) and a finance agency. They have grown by 40 percent since acquiring an additional accounting firm in 2017 and have doubled their team within the last year. Driven by a passion to help other businesses succeed, Walker Hill go above and beyond to help any new startup in the initial stages of business. "The energy at Walker Hill is what truly separates Walker Hill from our competitors," says Hill. "We put the same energy and passion into our own business that we put into our client's growth strategies. "Within our business though, we are working to improve our systems and processes by moving into the Cloud and improving our overall IT." "This year we plan to increase our brand's presence on and offline." IT'S hard enough running a company, let alone running it just months after re-learning how to use a spoon. Six months before Kate Middleton was due to take the helm of Brisbane-based engineering firm Censeo she couldn't even walk or talk. "I had a massive seizure and spent over a month in hospital at St Andrews in the neuro ward," says Middleton. "I had to learn how to walk again, talk again, and I even had to learn how to hold a spoon." Middleton's Censeo acquisition story is remarkable, with her motivation to purchase the once ailing engineering group driven by the desire to save the company's dedicated employees. "I wanted to save a business that was in turmoil and part of a very large and complex ASX listed conglomerate," says Middleton. Since being diagnosed with dystonia in 2015, Middleton has accomplished many things, including a foray at Harvard University. Even still, Middleton says reprivatising Censeo is her career highlight overall, one she is extremely proud to have achieved. Redback is a Brisbane-based technology company focused on the development of low-cost, intelligent energy solutions for residential and business customers. The company's market leading integrated hardware and software technologies capture, store and manage solar energy. 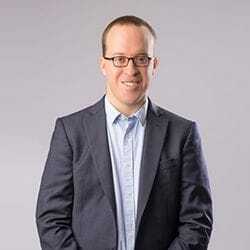 "We are bringing the new generation of Redback technology to market, giving Australians access to a seamlessly integrated hardware and software package that enables customers to save money by consuming more of the solar energy they produce on site," says Redback Technologies Founder and Managing Director Philip Livingston. "This is an exciting time as there's never been a better opportunity for Australia's energy industry to take proactive steps toward a grid powered by renewables. With the launch of the second generation Redback Smart Hybrid System they are not only putting consumers in control of their energy, but we're also paving the way for a clean energy that will benefit future generations. "The Redback Smart Hybrid System combines a solar inverter, battery enclosure, and intelligent energy management software into a seamless package." When paired with solar panels and compatible batteries, Redback transforms a standard solar system into an intelligent energy management system. A TEAM of industrial designers, software engineers, and mechatronic engineers have been brought together by IT entrepreneur, Justin Kinchington to work on a new project which he hopes will put Queensland on the global stage for simulator excellence. Funded by a combination of revenue thanks to stable organic growth in his IT company and the backing of an Advance Queensland grant, Kinchington has created a patent pending motion simulator to rival its nearest competitor. Kinchington is combining computer system design and development and his passion for high-performance cars into a fruitful and sustainable line of innovative products. "As a result, we're going to be able to tap into the valuable and emerging motion platform market which is projected to reach $60 Billion by the year 2020," says Kinchington. "The simulator we have created will compete and outperform systems currently on the market that sell for more than $500,000, at a fraction of the cost." With the simulator market set for rapid expansion, the Assured IT simulator will be Queensland's only design and manufacture operation for the products. Ben Cleary-Corradini, one half of Brisbane's Gnocchi Gnocchi Brothers with his business partner Theo Roduner, says to ensure your business survives you need to accept and embrace change. "There's no doubt that UberEats has changed the landscape of both fast food and restaurant food, and I think to be a thriving business you have to embrace the change," says Cleary-Corradini. "People by nature are getting lazier and lazier and they want things brought to them, so we're all about embracing the new technologies. I'm all for Uber and technology that makes it easier to get food to customers at their convenience." Both Cleary-Corradini and Roduner are nominees in Business News Australia's Brisbane Young Entrepreneur Awards this year, with their unique and fresh business model helping them land a spot as finalists. 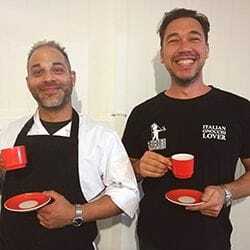 Their restaurant, called Gnocchi Gnocchi Brothers, is Australia's very first 'Gnoccheria'. "You've heard of a pizzeria and also a trattoria," says Cleary-Corradini. "We are a new concept in the food industry offering gnocchi as our one and only dish, we are Australia's first dedicated 'Gnoccheria'." The concept was born in 2015 when Ben and Theo decided to open a market stall at the Farmers Markets in Brisbane where they would sell fresh gnocchi once a week. Quickly the concept grew out of its humble market stall and into a full-blown restaurant. They opened their first bricks and mortar 'Gnoccheria' in Paddington, Brisbane. From there, the duo has opened three permanent locations across Brisbane and the Gold Coast within their first year of operating.